Since ancient times a variety of tools have been used to clean the teeth. Bird feathers, animal bones, porcupine quills, hog bristles, chewed tree twigs with bristle-like ends are all examples of early oral hygiene aids. Napolean's toothbrush had horsehair bristles. We've come a long way with our modern toothbrushes but they're not all alike: Large brush head or small? - Hard, medium or soft bristles? - Power or manual?...So much to consider! 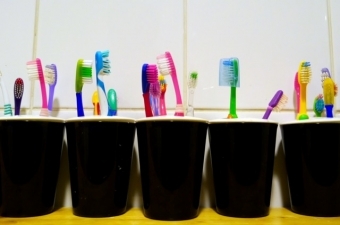 No matter which type of toothbrush you choose, be sure that the brush fits your mouth. We've noticed a recent trend in toothbrush manufacturing to produce large-headed brushes, even for children. 'Go small' is our recommendation. A toothbrush needs to be small enough to fit those hard to reach places despite small mouths, teeth crowding and strong tongues. Sometimes we customize toothbrushes to make them more narrow or shorter by pulling out excess bristles. You can too. In the past, hard toothbrushes were the norm. Now we recognize that hard-bristled brushes along with improper scrub-motion brushing can cause gum recession. Soft-bristled brushes are less likely to harm the gums and are more flexible to reach between teeth. If the gums are thick, a soft- bristled brush will do. For those who's gums are thin and delicate, an ultra-soft is a better choice. technique is key - ensure that you are brushing correctly to avoid damaging your gums and wearing away tooth enamel. Proper angle, pressure and motion must always be used regardless of the type of toothbrush you are using. if you love new technology some smart power brushes now have bluetooth connectivity that provides personalized brushing coaching and feedback - bluetooth technology is available for kids too. 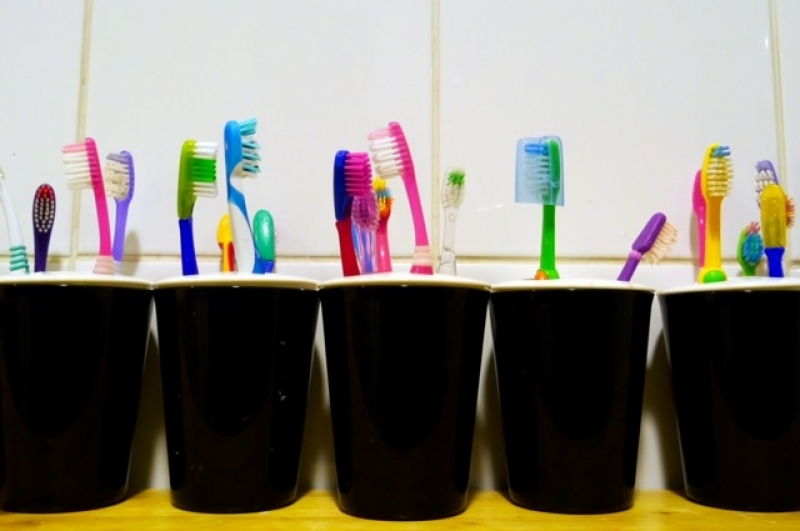 No matter which toothbrush you are using, please help conserve water by turning off the tap when you brush your teeth. Let our Lorne Park Dental team help you select the perfect toothbrush to help you keep your teeth clean, your gums healthy and your smile bright!